When I made the decision to get into this hobby I had no idea how much there was to learn! 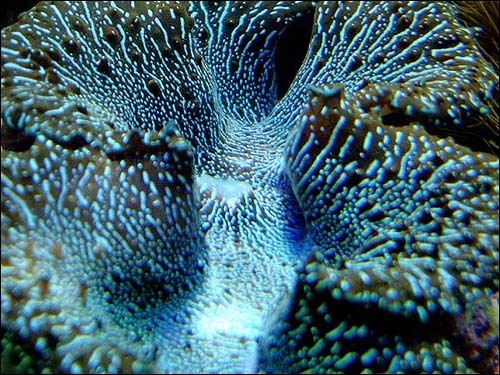 I was lucky to stumble across Reef Central when I was still in the early planning stages. 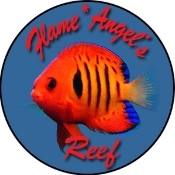 Having access to this wealth of information has allowed me to avoid a lot of the pitfalls of a new reef keeper, but I've still managed to make lots of mistakes and learn quite a bit the hard way. After a little over a year of researching, planning and collecting equipment I was able to set up my system on August 15, 2001. The tank is a 120 gallon AGA with twin overflows. I designed and built the stand myself with help from my brother. I used Formica as a finish and it has worked out very well. I found the Formica very easy to apply and easy to keep clean. It also seals and protects the wood of the stand. My sump is in the basement below my tank so I needed a fairly powerful return pump. I'm using an Iwaki MD70RLT connected to two ¾" SeaSwirls mounted diagonally on my curved overflows and find this is all the circulation I need for my tank. The Iwaki pump is very reliable and has never caused me a problem during the 15 months it's been running. I have considered setting up a closed loop just to provide some movement in the back of my tank behind the rocks and if I do I would definitely go with another Iwaki pump. 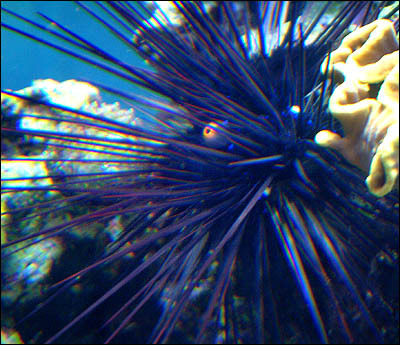 The SeaSwirls are absolutely silent and provide wonderful rotating circulation in the tank. They are maintenance free and only the nozzles are in the water. My lighting consists of dual 250 watt PFO metal halide ballasts with 6500K Iwasaki bulbs with four 110 watt URI actinic VHO tubes on an IceCap 660 ballast. I started with just two actinic tubes but added two more to give the tank a bluer look. I have found this lighting adequate for anything I've tried to keep so far. 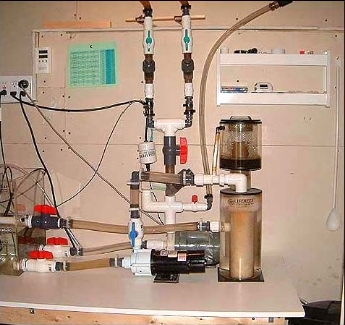 My sump, protein skimmer, calcium reactor and float switch (for automatic top-off) are all custom made units from LifeReef. This was the first equipment decision I made and I have never regretted it. 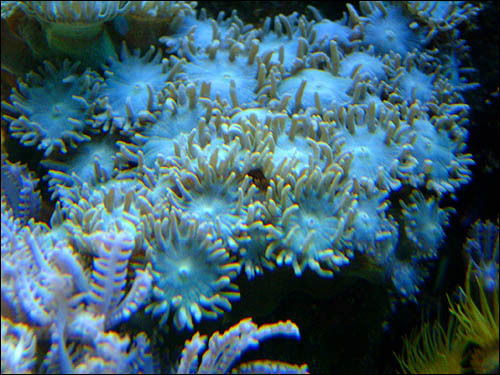 The LifeReef system came with everything I needed, right down to the pumps, tubing and hose clamps. When setup day finally came it was very nice to have components designed to work together and step-by-step instructions to set it all up. 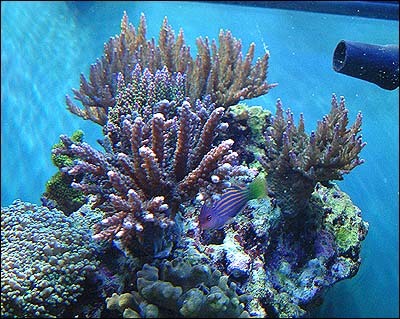 Jeff Turcheck at LifeReef recommended each component based on the system I wanted to set up. I started with just one refugium. I made it from acrylic and designed the stand so that I would be able to have it beside and above the tank. It holds approximately 10-15 gallons. I have a Maxijet powerhead in the tank that feeds the refugium, and it flows back to the tank through a bulkhead installed in the side. There is also a second smaller bulkhead located a little higher which is used as a safety precaution. 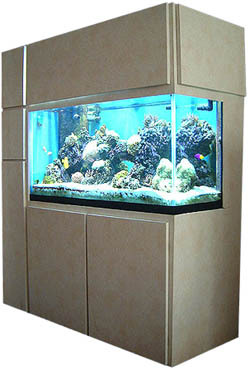 This refugium has a 5" deep sandbed and is used for amphipods, Mysis shrimp, copepods and bristleworms. I find that their population numbers wax and wane but it definitely helps to keep a steady supply of critters in the main tank. I don't light this refugium, but it does get indirect light from the tank. This is a fairly recent addition. I wanted to use macroalgae for nutrient export but the smaller refugium by the tank didn't have enough circulation to make it worthwhile. Before setting up this refugium I had a 5 gallon water jug to take the turbulence from the tank and take out small bubbles. 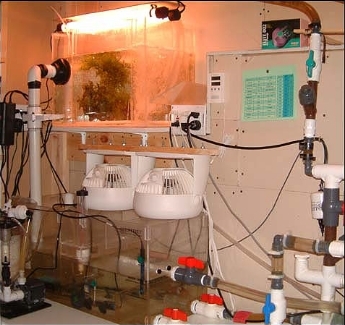 I built this refugium from acrylic, as well, and designed it to grow macro algae but also to take the turbulence so that I could remove the water jug. This was accomplished by using dividers to create 3 separate sections. The water enters on the right, flows through the holes in the first divider into the large middle section where I have a small amount of live rock and the macroalgae. Then it flows through the holes in the second divider to another small section where I have a bulkhead that delivers the water to the sump below. 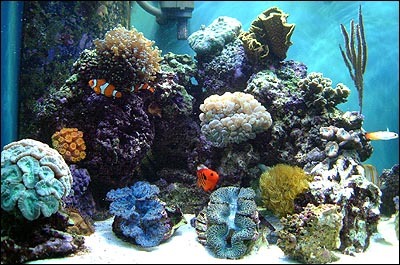 The dividers keep the turbulence from the macroalgae and the macroalgae from clogging the bulkhead. I started out with a couple of normal output grow-light fluorescent tubes, but have since replaced them with a single 25 watt twist-in compact fluorescent. This light seems to give faster macro algae growth. 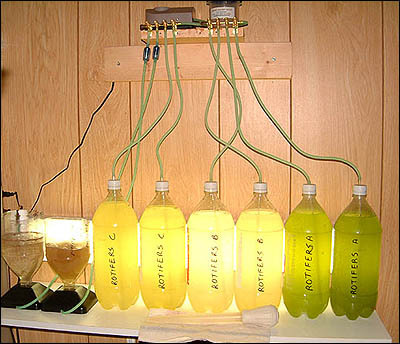 I started culturing phytoplankton shortly after setting up my tank. I started out with four bottles but am now running twelve. 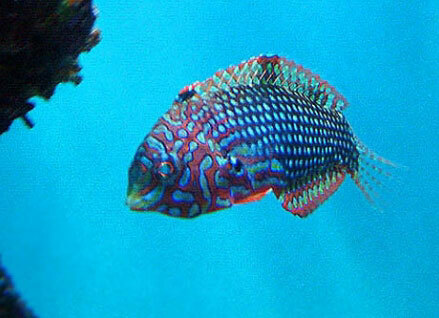 I've found phytoplankton very easy to culture and very beneficial to the tank. I started culturing rotifers several months ago. The batch method I use is a bit more work than a continual culture, but I find it provides less risk of crashing. 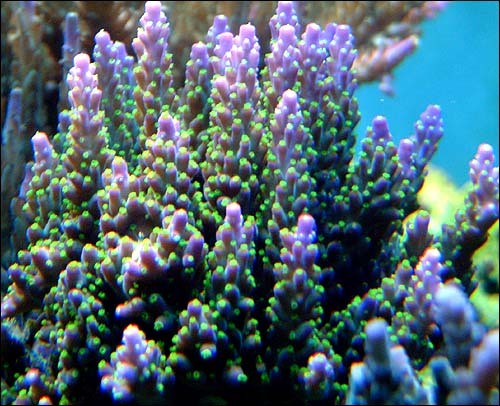 Since feeding rotifers I've noticed much faster growth from my Acropora. Baby brine shrimp are one of the easiest ways to provide live food to your tank. I just hatch them and feed them to the tank while they still have the nutritious yolk sack attached. 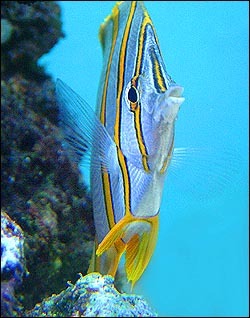 They are very tiny but even my larger fish seem to enjoy them. 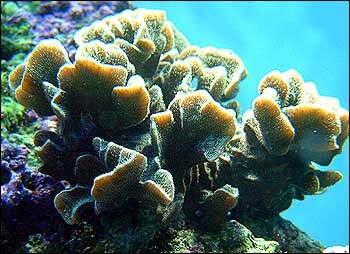 They also benefit many of my corals and sandbed critters. 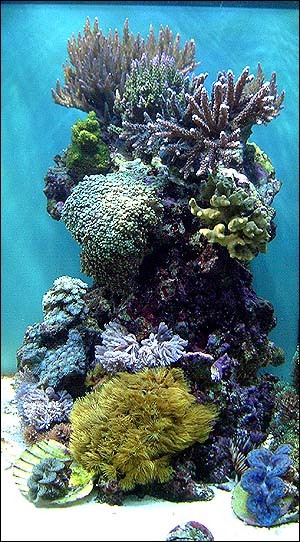 I've been through quite a bit with my tank - plagues of hair algae, Bryopsis algae, Aiptasia and flatworms. It's been a rather humbling experience overall and has taught me to respect the complete ecosystem I'm trying to maintain and not to focus on just one aspect of it. Every change, no matter how minute, affects the system as a whole even though it may take several months for me to realize the results. 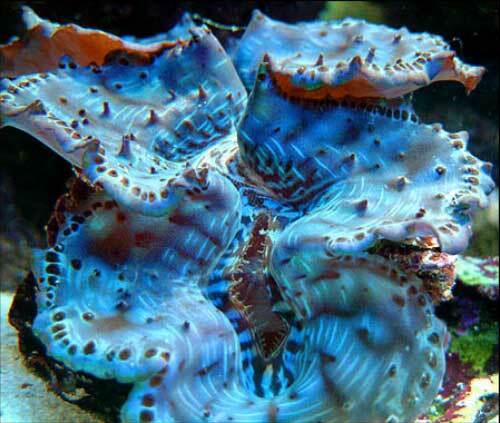 My reef is a labour of love and I can no longer imagine my life without it.